As he awaits trial on nearly a dozen charges of criminal sexual abuse, singer R. Kelly is asking a judge to let him travel outside not only the state of Illinois, but the country, for a scheduled appearance overseas. Despite turning over his passport as a condition of bond last month, Robert Kelly is now seeking permission from the court to travel to Dubai in the United Arab Emirates for a planned three-day concert in April. Kelly had already signed a contract to perform between three and five shows and meet with the royal family in Dubai before he was arrested and charged in Chicago last month with 10 counts of aggravated criminal sexual abuse, Greenberg states in the motion. The R&B superstar has spent two stints inside the Cook County Jail in recent weeks. First, he was unable to immediately pay off 10 percent of the $1 million bond he was initially held on due to his ongoing financial issues. It took more than two days for him to post the $100,000 necessary to leave the jail, and that money was fronted to him by a suburban Chicago business owner. Just over a week later, the judge overseeing Kelly’s divorce case ordered him back to the jail due to more than $160,000 in back child support he owed. Again, someone other than Kelly posted that total, allowing him to walk free on March 9. In the motion, Greenberg states that if he is allowed to travel, his client would be able to pay off any balances he owes as well as upcoming child support payments. The attorney claims Kelly cannot make a living if he is confined to Illinois, or even the United States, because he has been “denied the opportunity to perform here.” Greenberg also dismissed concerns about Kelly being a flight risk, saying his client never missed a court date during his previous criminal trial and is too famous to escape without notice. “It would be impossible for someone of Mr. Kelly’s stature to disappear,” he wrote in the motion. That abuse in these cases allegedly occurred between 1998 and 2010 and involved four victims, according to prosecutors, including three underage girls who Kelly allegedly engaged in sexual acts with. Kelly has pleaded not guilty to all counts. 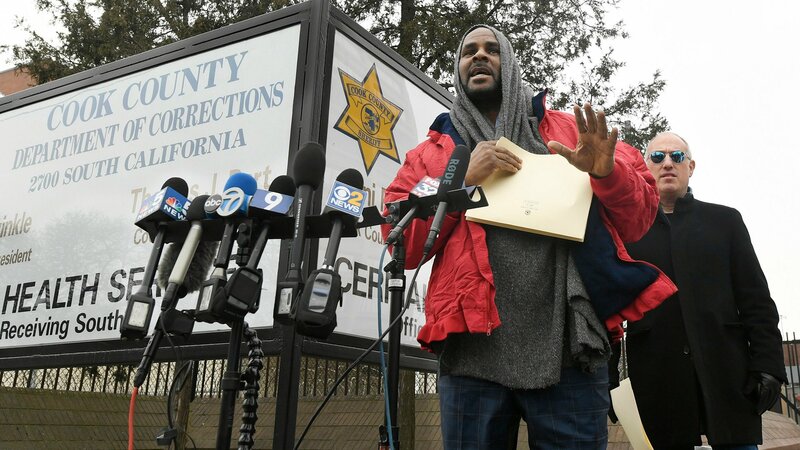 Following the release of the “Surviving R. Kelly” series, Foxx held a press conference in January, calling for anyone with information about Kelly’s alleged crimes to come forward. “Frankly there are questions regarding her impartiality concerning all of this,” Greenberg wrote in the motion. “Since taking her public stance she has been able to mingle with the Hollywood elite, attending a pre-Oscar luncheon and other parties in Los Angeles, been the subject of a New York Times profile, and otherwise been lauded. Kelly is due back in court for a hearing Friday morning.